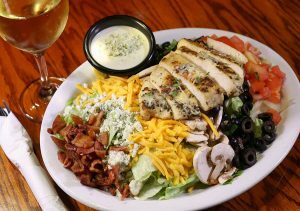 Our menu is full of flavorful favorites and specialty items, all made fresh every day. The Simple Sam burger has the best value in town. The prime rib, available either oven roasted or smoked in our commercial smoker, has mouthwatering flavor you’ll come back for every Friday. And our customers say we have the best fish ‘n chips in Eugene. Make sure you check out our breakfast selection with chicken fried steak, omelets and more available every morning. There’s no better lunch spot than Sam’s Place Tavern in Eugene. 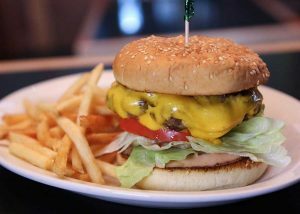 Whether you stick to our customer favorite, the Simple Sam burger, try one of our house made soups or salads, or dig into one of our delicious Samwiches, you’re in for a tasty meal. And while you eat, watch your favorite sports team play on one of our 25 TVs–on the walls and in every booth. Contact us to hear about our daily lunch special. 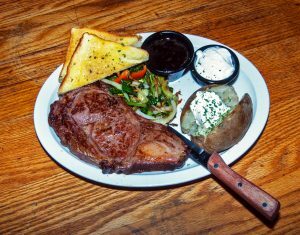 Our dinners are so good, you’ll forget you’re at a sports bar and think you’re at a restaurant with TVs in every booth. Explore our dinner options below and don’t forget to check out our weekly dinner specials. 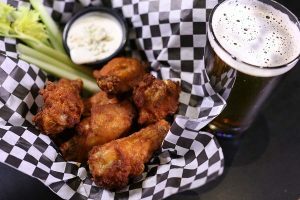 Preview our delicious menu options below, and visit us to try the best game day food in Eugene. Chips, cheese, onions, bell peppers, tomatoes, jalapeno peppers, black olives, shredded lettuce, topped with salsa and sour cream. 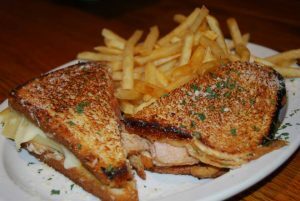 Served with your choice of fries, salad, cottage cheese, chips, homemade potato, homemade pasta salad or a cup of soup.